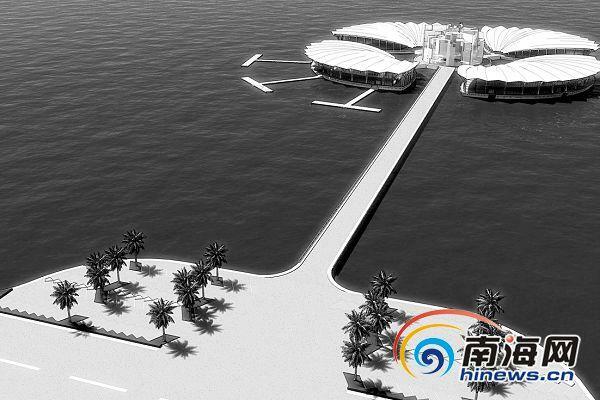 Meiya Air is going to put the International Seaplanes Center in Sanya Bay, at the sea areas opposite to the Xinfeng Street. The Sanya International Seaplanes Center will cover a total area of 60,000 square meters, with projects including multifunctional building for aviation inbound & outbound ports, aviation exhibition and service center, tourists service center and VIP private planes yacht club. After the construction, the center will set up at least 20 airplane berths and 100 yacht berths. The center will be built as a “floating” multifunctional construction over the sea supported by several struts deep in the sea. It will become a contemporary work of art with permeable overhead structure. According to the plan, a supporting plane port of call will be set up at the foot of the Luhuitou Mountain. The port will brace the function of safe harbor for Sanya Bay monsoon and the terminal for plane allocation, which will be built in aerial cable way directly to the sea, and will set up 15 plane berths and more than 50 yachts berths.